Wine Grape Twilight Meetings offer local grape growers evenings filled with valuable information designed with the vineyard in mind. This spring, helpful techniques and strategies were presented to dozens of grape growers and vineyard managers across the state of New Jersey. 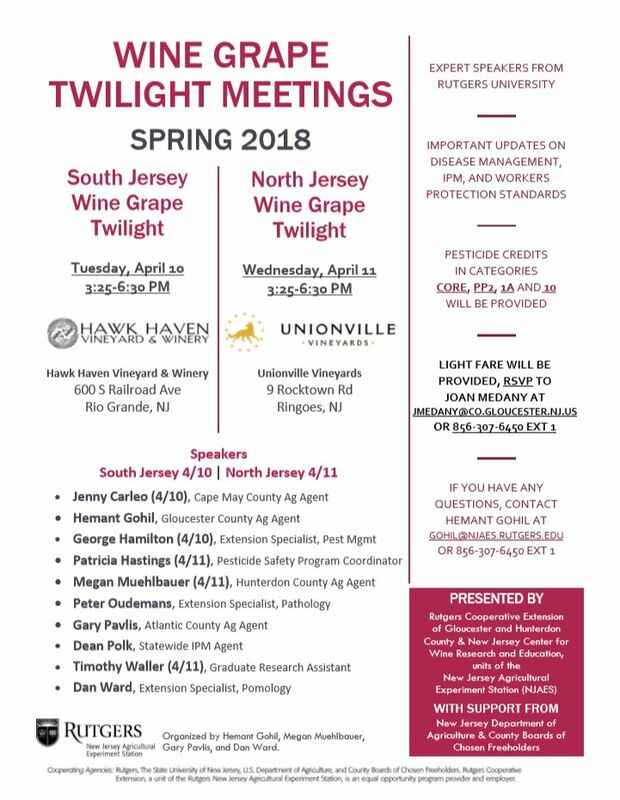 This year’s meetings took place in South Jersey on April 10 and North Jersey on April 11, 2018. Speakers presented useful information with emphasis on disease management, integrated pest management, and workers protection standards. Both meetings were well-attended, providing ample opportunities for members of the New Jersey wine industry to learn, ask questions, and seek recommendations from Rutgers experts in agriculture. 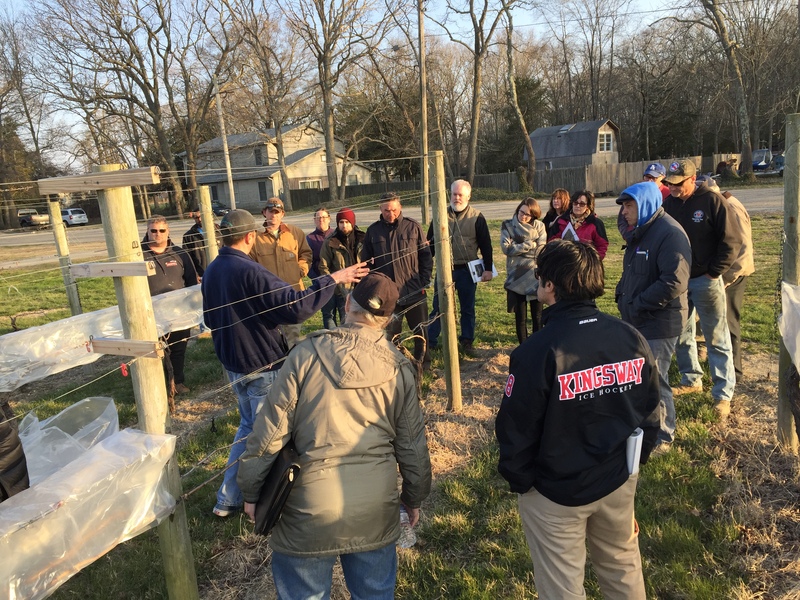 These meetings were presented by Rutgers Cooperative Extension of Gloucester and Hunterdon County & New Jersey Center for Wine Research and Education, units of the New Jersey Agricultural Experiment Station (NJAES), with support from the New Jersey Department of Agriculture & County Boards of Chosen Freeholders. 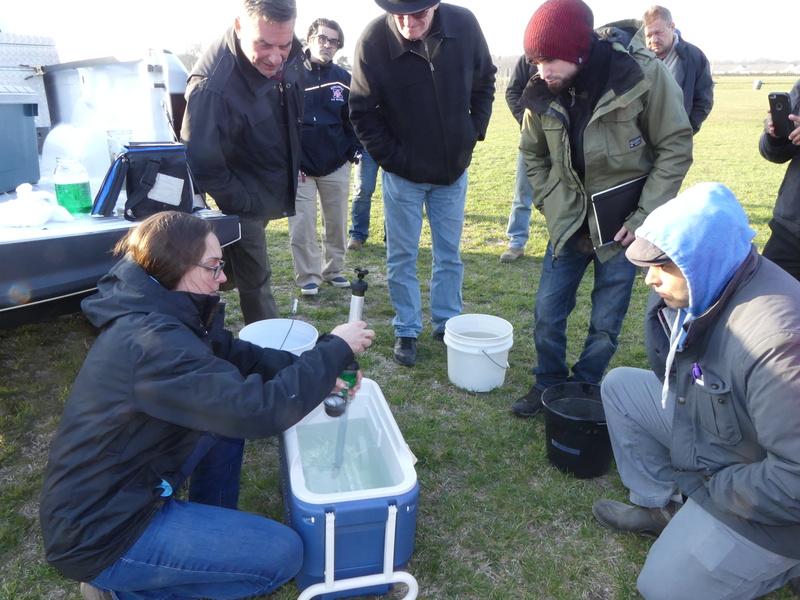 Demonstration of a tensiometer, an instrument that can help farmers to know when to water young vines, by Jenny Carleo at the 2018 Wine Grape Twilight Meeting. Photo courtesy of Lenora Boninfante, Rutgers NJAES. Workers Protection Standards Implementation – What’s New for 2018? 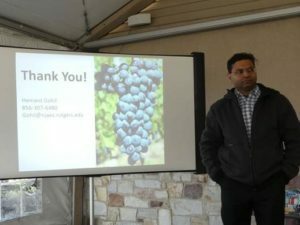 Differentiate Between Disease and Nutritional Deficiency Symptoms, presentation by Hemant Gohil at the 2018 Wine Grape Twilight Meeting. Photo courtesy of Lenora Boninfante, Rutgers NJAES. If you have any questions, contact Hemant Gohil at gohil@njaes.rutgers.edu or 856-307-6450 ext. 1.